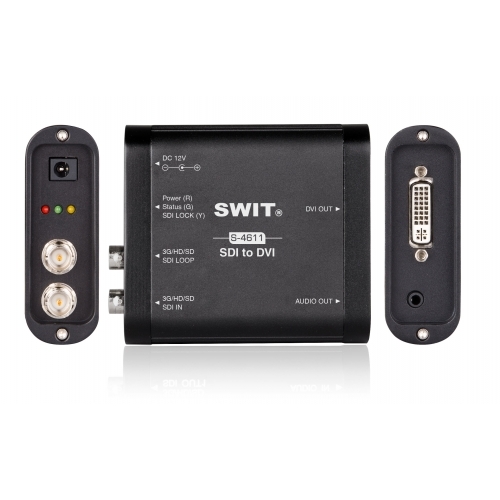 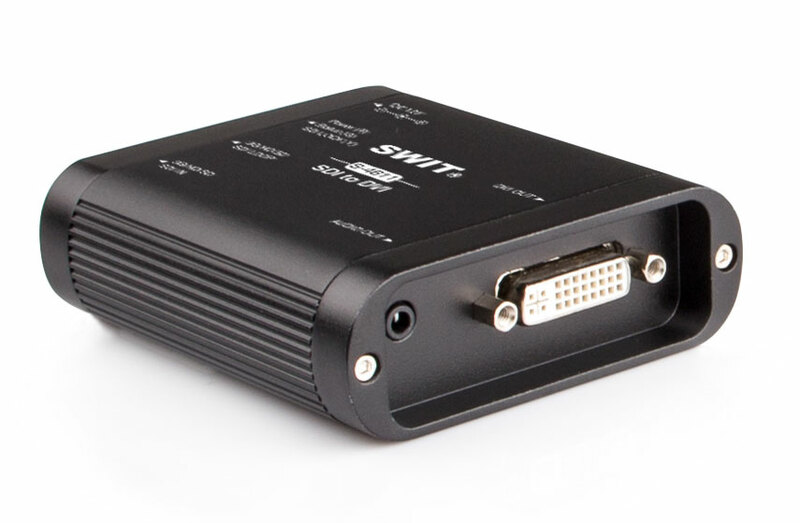 S-4611 is a mini converter for SDI to DVI conversion, (DVI-D, 18+1 connector), which can be widely used to display up to 3Gb/s broadcast SDI video on DVI monitor, televisions, LED board or projectors. 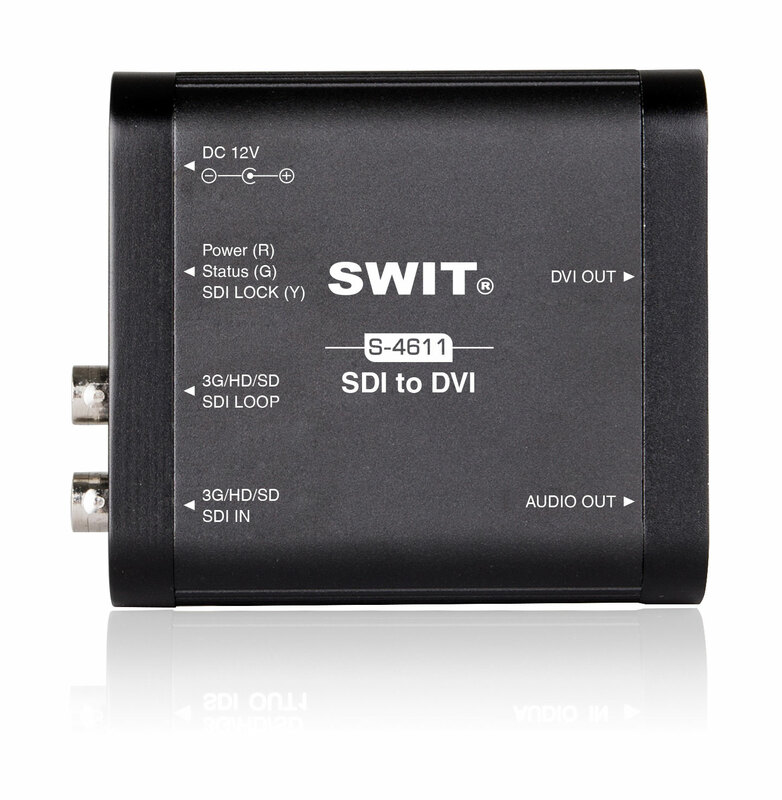 The SDI embedded audio ch-1 & ch-2 can be converted to analog audio and output via 3.5mm headphone socket, supports 48kHz sample rate. 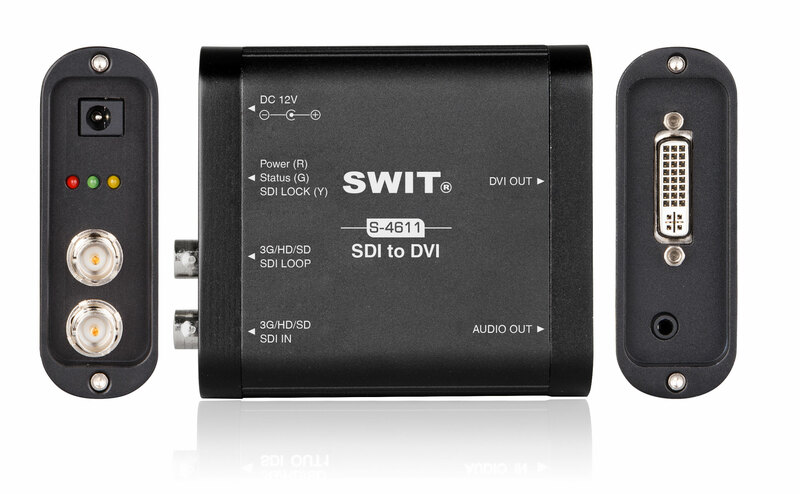 S-4611 provides 3 LED indictors, to check if the power is connected, and if the input/output signal is delivered. 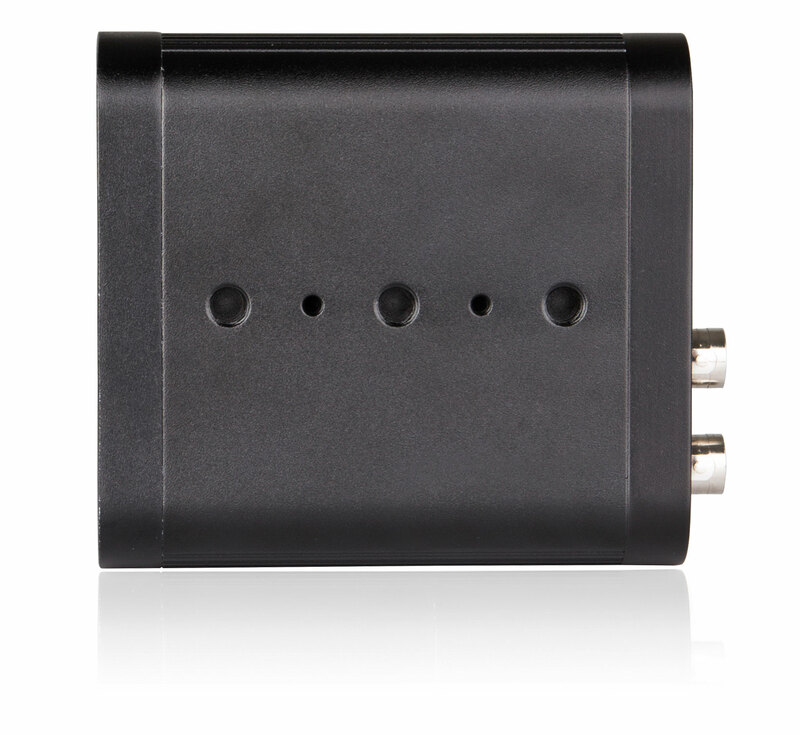 The mini converter is powered by pole-tap DC socket. 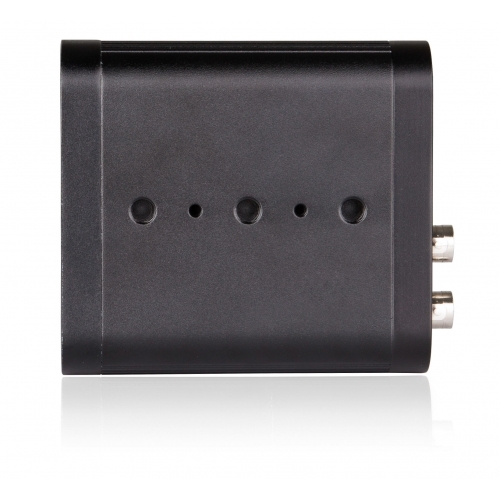 The package includes an AC-DC power adaptor, and you can also connect DC cable from 6-18V batteries. 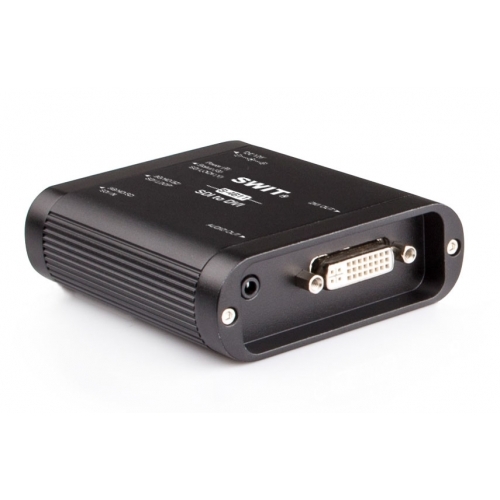 The S-4611 mini converter adopts unibody aluminium alloy housing, strong for field using and protects the BNC connectors effectively. 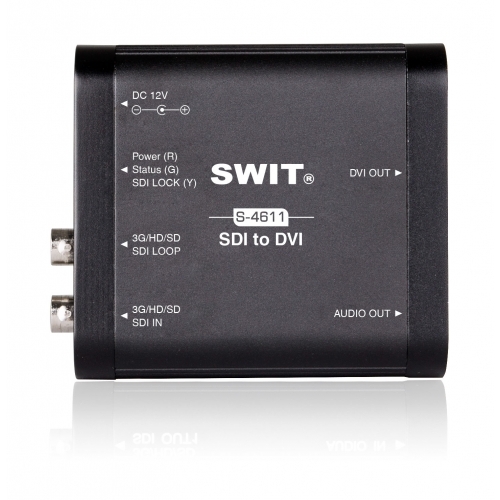 S-4611 supports following SDI format input to convert, and the converted DVI output format is the same as input format.